It's the transfer deadline day! LaLiga's transfer window shuts as soon as the club strikers 11:59 pm today, the 31st of January 2019. 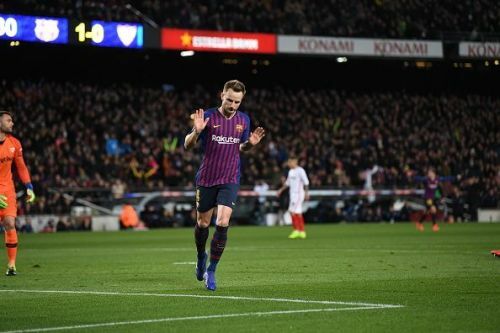 Ivan Rakitic is not willing to leave Barcelona any time soon and wants to sign a new deal. The midfielder was speaking to the press after knocking his former side, Sevilla out of the Copa Del Rey. The Croatian was linked with a move to Chelsea in the summer but it looks like he has no interest in it, whatsoever. The 30-year-old has 2 years left on his current deal but wants to sign a new one and retire at Camp Nou itself. Unwanted at Chelsea and Valencia, Michy Batshuayi has two offers on the table. The Belgian can either join West Ham United on loan or move to Real Betis on loan according to Sky Sports. Both sides have agreed a deal with Chelsea and the Blues have asked the striker to pick his next club. Everton and AS Monaco were also interested in signing him but it looks like their interest has cooled down. The Toffees were keen on signing him on a permanent deal while the Ligue 1 side wanted him on loan when Thierry Henry was in charge.